I have always been a huge fan of using technology to be more mindful and less stressed, rather than the other way around. We carry our phones pretty much 24/7, so we need to be conscious about how we use them and what we put on them. Your phone can be a source of stress, or it can actually help you slow down, be mindful and access peace. For example, a playlist of positive or relaxing songs can turn a walk into a walking meditation. And if you follow uplifting folks on Instagram, then checking it can be a source of joy and inspiration instead of a place where you go to compare and judge. 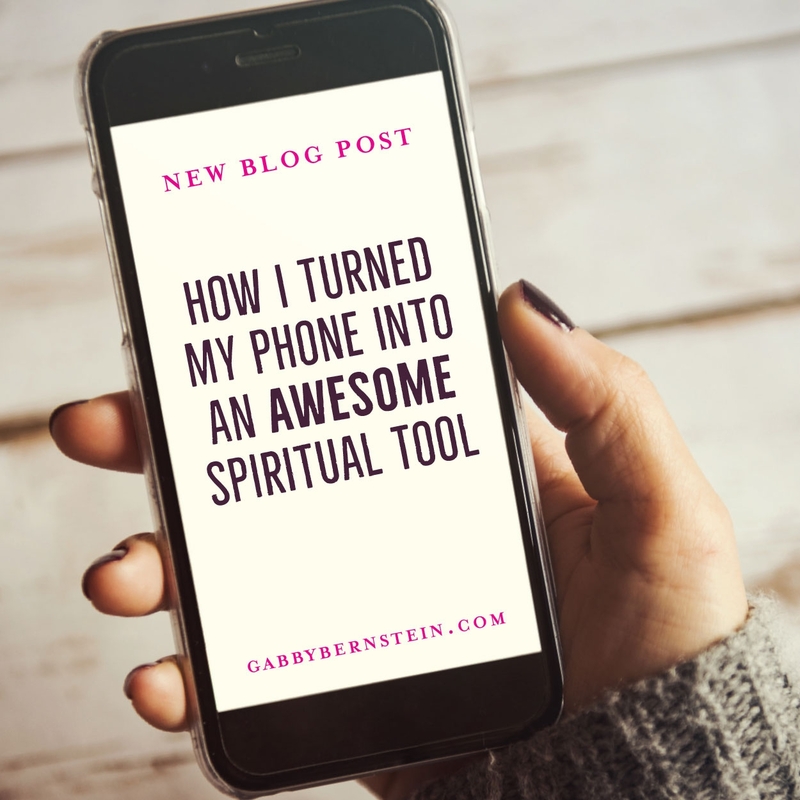 I’ve turned my phone into a spiritual tool by loading it up with some beautiful apps that help strengthen my spiritual practice, boost my mood and make me feel good! As a meditation junkie I’m a huge fan of Headspace! I love this app because it makes meditation very easy for people, especially if you’re new to the practice. You can choose short guided meditations to help you ease anxiety, focus your mind, sleep better and much more. There’s also a great beginner’s series to start you off if you’re new to meditation. 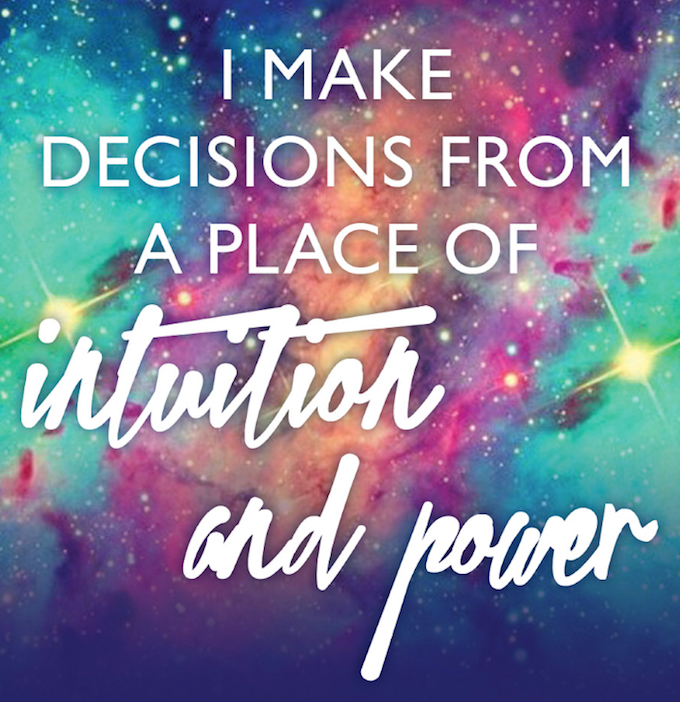 I use affirmations and mantras to guide me each day and love that I can share this practice with other Spirit Junkies. 🙂 My team of developers has made the Spirit Junkie App really easy to use, and I update it regularly with awesome new affirmations. You can set a reminder to have the affirmation pop up throughout the day to remind you to turn inward and become mindful at any moment. I love this app because it makes it really easy to check monthly and daily horoscopes from Susan Miller. The free version keeps things pretty simple, with daily/monthly horoscopes, important astrological dates and updates from Susan. If you subscribe you get longer daily horoscopes, lifestyle and romance guides, and lots of astro info beyond your star sign! This card deck app from my girl Kris Carr offers up self-love and self-care! The gentle but powerful messages remind you to be mindful of your happiness and well-being. It’s awesome to open the app, shuffle the deck and read a message in the midst of a super busy day. I like to check this after checking my Spirit Junkie App! This is the app version of my Miracles Now card deck! There are 62 cards that can offer you inspiration whenever you need it. I use the app the same way I use the deck. Whenever I’m in doubt or need a boost I open it and say, “Thank you, Universe, for your guidance. I need a Miracle Now. Show me what you’ve got!” This app will strengthen your faith and help you stick to your spiritual practice. I want to know your favorite apps! Let me know which apps help you stick to your spiritual practices, stay healthy and feel great. Leave a comment and share! You Don’t Have Time to Meditate? These are connected to iTunes. Are there Android apps as well? Just added some Google Play links! A few apps are iOS only – I’m going to add some Android apps. Thanks for mentioning!! Im DYING for the spirit junkie app…is it coming? Oh Yes I would love to get the spirit junkie app as well on my android phone-i there any possibility? I love this blog post and will enjoy trying all of them! My favorite app is Insight Timer. I have a favorite recording that I try to listen to as soon as I wake up. There are LovingKindness and Metta recordings that I listen to throughout the day and at night there are Yoga Nidra Recordings. It makes for the most wonderful of days! Beautiful! I love Yoga Nidra. I recorded a Yoga Nidra meditation for my Miracle Membership in August! It’s so incredibly relaxing. Thank you for your tip! I like who you are, what you believe and that you share with the Universe. I’m reading the UNIVERSE HAS YOUR BACK. Have a great Monday. I like you have experienced JOHN OF GOD. A miracle in itself. I like Insight Timer as my meditation app. They have a free version which I like to recommend to beginners. Another app I use is Audible for listening to the Course in Miracles and other spiritual books while driving and going for walks. Looking forward to trying some of your suggestions. Thanks Gabby, I will try them. I received my deck of The Universe has got your back, I just love them. Thank you. Thank you, have been listening to your books (audible) and they really help. Loce these!!!!! Thanks for recommendations. Grateful — A Daily Gratititude Journal. Premimum is $3.99 I believe. One time purchase. I used a search engine to find prompts to add to my app. MoodNotes — Check your thoughts!!!! Very help to see if there are any cognitive distortions at play. Productive — Many of us are “undisciplined.” This is a great app for creating new habits!!! Insight Timer — AMAZING global meditation community!!!! Awesome guided meditations for all things spiritual. ACIM Workbook Reminders — An amazing app where you can set up daily reminders for ALL the workbook lessons in ACIM. Thank you! I also love Insight timer. Different bells for meditation, guided meditations and poosibility to connect to other meditators! For meditation I love insight timer. They have thousands of great meditations. Hay House radio to listen to my favorite spiritual teachers. Downloading miracles now app now – can’t wait to use it! Too bad I’m not an iPhone user. I do have the heads pace app and love it! I will look for similar ones on android! Thanks! I love the app called Calm. There are so many meditations for all kinds of ways to improve your ways to meditate, increase sleep etc. Thanks, Gabby! Are there any easy apps for setting interval bells during a timed meditation?? I am doing the liberation kriya meditation and I never know when my 3 min per part are up– I tried an app called perfect zen and it didn’t work at all, I ended up doing the kriya for 14 min according to the music I was listening to!! Oops. Most of these are only for iPhones, do you have recommendations for Android users? Thank you so much!! Looking forward to trying everything out! Ditto! I have your Miracles Now card deck, but would love to have it on my android phone as well! Hi Gabby! I have really enjoyed the app: the Daily Calm. It has guided meditation, breathing exercises and relaxing music. It is great for beginners and every day use. It has really helped me start meditation and continue it daily! 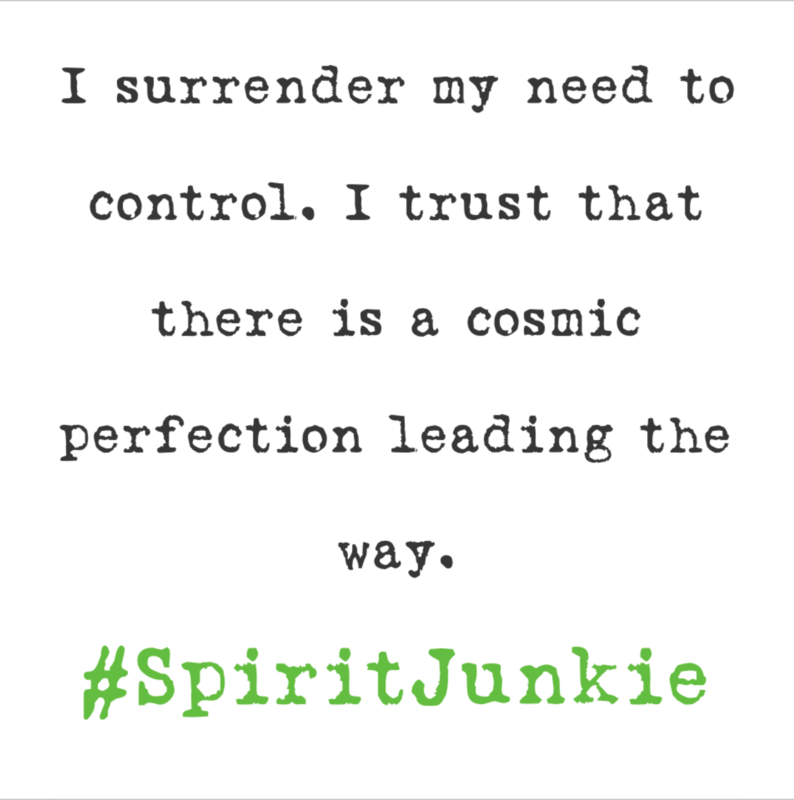 Can you get the Spirit Junkie app for Android phones? I agree with Amy – would love to see these apps made available for Android users, and/or some alternate recommendations! Thanks! These all look amazing! I would love it if Spirit Junkie was on Android too! Have you tried the Sattva app? It’s free and has the moooost amazing meditations! I love this post, thank you Gabby. But it would be so awesome if your apps could also be available for Android. Actually, I mentioned the same a couple of years ago when you made a post about the Spirit Junkie app. Would there be a possibility for Android in the future or not at all? Another Android user here, Gabby. Please make an Android version of the Spirit Junkie app. Great recommendations!! Several of these I already use and love!! I look forward to checking out the others. I too like to use my phone as a tool of light. You are a one of the spiritual voices that encourage me through technology! I hope I too can use my phone to spiritually pay it forward and spread light and love! A tool of light – yes!! Just finished The Universe has your Back. Love, love, love. Thanks for sharing and being so amazing, honest and true. I now have my husband reading it and he has found it uplifting and positive. I will be definately downloading some apps to help me on my journey. From my heart and soul thank you. I really wish the Miracles Now app was available on Android- more android options, please! Added 2 more Android options to the blog!! I have never used any of these before but will surely give a try to all and take few ones which will suit and help best! I would like if you write few more articles connecting tech and personal development niche! Gabby, i love sattva, do you known this app? I also use Insight Timer. But there is one woman who I found that absolutely everyone should listen to! Her name is Sarah Blondin and her series is called Live Awake. Her voice and words will speak directly to the deepest reaches of your heart and soul. Do not be surprised if you shed some tears as you listen to her. What I love the most is that her Podcasts directly tie into the lessons in the Universe Has Your Back. Anyone who follows you, Gabby absolutely needs to listen to these! Thank you, Gabby! Have you ever seen this one: Yogaia | https://yogaia.com Love it! Thank you for this blog post, I Loved It ! Only one little thing, that frustrates me a bit. Why are so many/most spiritual apps (along with so many others) asking for soooo many permissions that I don’t understand why they need?? I do care a lot for my personal life and privacy, and sadly I know too much about how this works with the permissions. I am an android user, and I know I can disable some permissions, but not all of them. I would love to have spiritual apps that do not ask for permissions! Will your own two apps, Spiritual Junkies and Miracles Now, ever become available on Android? Love The Universe has Your Back- and the cards are so beautiful! They keep me inspired and centred! Well I just found this blog post after picking up my Universe Has Your Back book after a long break (and an interesting rollercoaster past few months) I downloaded one of the mentioned apps (Insight Timer) and went on a walk for my break at work. What do I find while listening? My sign from the Universe – a little heart shape, it was cut out of paper on the pavement. Could not believe it. Thank you Gabby for everything you do!